Changes in your family structure pose many challenges. Whether you are pursuing adoption, experiencing marital conflict, or facing another issue close to home, you need a family law attorney who can help you find solutions for your legal problems. We answer all of your questions as we guide you through your family law matter. Our experienced attorneys guide you through the complex probate process by collecting, managing, valuing, protecting and liquidating the assets of the estate. We help you determine the best way to protect the future of your family and loved ones. Our attorneys are knowledgeable about property issues and real estate disputes. We guide you through the process of negotiating, drafting and revising real estate documents, including contracts, mortgages, deeds and title documents. We also handle business real estate transactions and represent clients before planning and zoning boards. Welcome to Wershow and Schneider, P. A. Our founder, James S. Wershow, started this firm more than 60 years ago, in 1949. In 1975 having outgrown our original location, the firm moved to its current address on First Street, where we remain to this day. 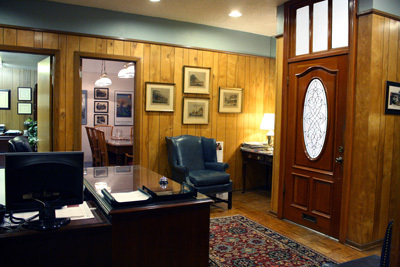 We are a well-established law practice that features a diversified group of attorneys. Specializing in Family Law, we also have significant experience in the areas of Real Estate, Wills, Estates and Probate. Our practice includes clients in Alachua, Columbia, Levy, Marion, Gilchrist, Union, and Bradford Counties. When handling family matters, our attorneys work diligently to assist our clients in restructuring their families rather than destroying them. We recognize that dissolving a marriage is difficult for everyone involved and we do all we can to minimize the trauma suffered by the family members. If you have a legal matter and want to consult an attorney who cares about you and your needs, please call us at 352-378-2541, extension 105. The hiring of an attorney is an important decision that should not be based solely upon advertisements. Before you decide, you may ask the attorney to send you free written information about the attorney’s qualifications and experience. You may also view this information in other portions of this website.